McALLEN — In a move that could benefit the Rio Grande Valley, Lt. Gov. 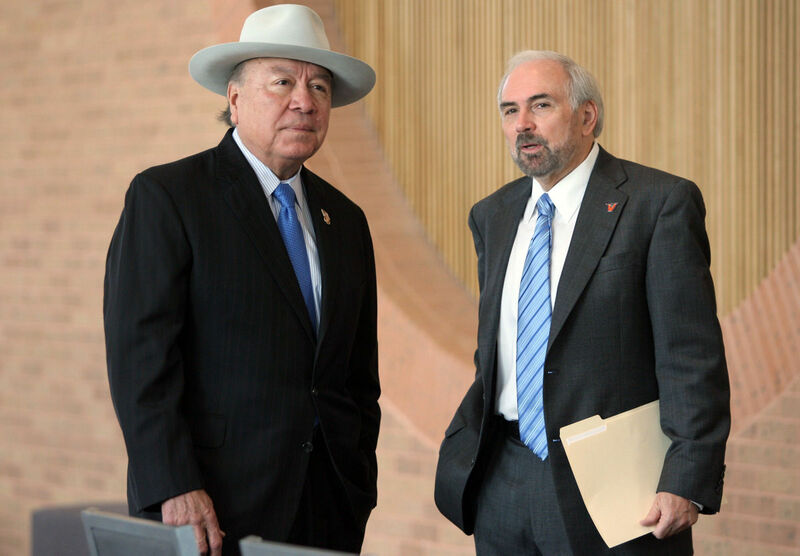 Dan Patrick appointed state Sen. Juan “Chuy” Hinojosa to a committee intended to recommend an overhaul plan for higher education formula funding. Hinojosa, D-McAllen, will serve on the Joint Interim Committee on Higher Education Formula Funding, alongside Sens. Donna Campbell, R-New Braunfels; Kelly Hancock, R-North Richland Hills; Lois Kolkhorst, R-Brenham; and Charles Schwertner, R-Georgetown. The committee is tasked with studying how higher education institutions throughout the state are funded and how special item funding is used. Overall higher education funding was reduced by an average of 6 to 10 percent during this year’s legislative session. But a great portion of the debate was about special item funding as the Senate proposed to completely do away with it, while the House proposed cutting funding for it. This type of funding is mainly used for start-up projects, but some argued institutions keep requesting special item funding well beyond start-up. But completely doing away with special item funding would have hindered many institutions who were dependent on these funds for the right reasons. This includes UTRGV where this funding was requested for the newly launched School of Medicine. Special items were expected to be addressed, Hinojosa said, as some of these have been in place for more than 25 years. But this has to be done in a way in which justified projects can still receive the support needed to successfully take off. Susan Brown, assistant vice president of strategic analysis and institutional reporting at UTRGV, said that while formula funding is intended to make sure all institutions receive equitable funding, it is not designed to fully support start-up programs. Brown served with the Higher Education Coordinating Board for 29 years and said other states award funding based on what each higher education institution can lobby to receive. So having a formula that seeks equity is beneficial, but there are issues to fix. As for the committee, Hinojosa said they will start working as soon as possible in order to have a proposal for the upcoming 86th legislative session, which begins in January 2019. Part of the process will be to meet with both senators and state representatives, he said, as well as getting testimony from higher education institutions throughout the state and the general public. The fact that he is the only Democrat assigned to the committee is not of concern to Hinojosa, who said they are all going in with the same goal. “I think we all support higher education and it’s a matter of having discussions and offering different solutions to make sure that we fund it adequately,” Hinojosa said.